Frank Thompson was commissioned by a lady to paint a portrait to be given as a special birthday present to her sister on the occasion of her 50th birthday. 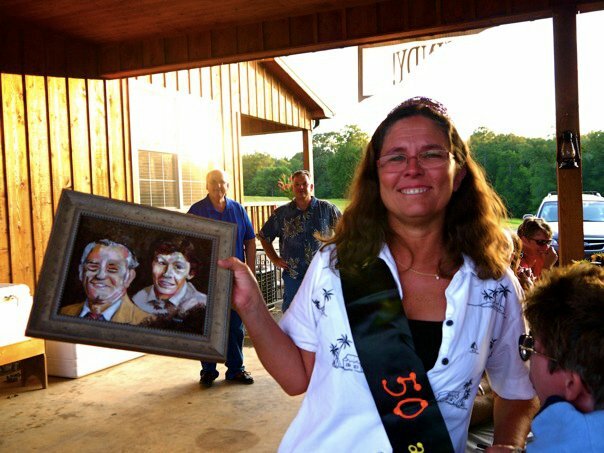 The painting, shown here being held by the "birthday girl", was of their parents. 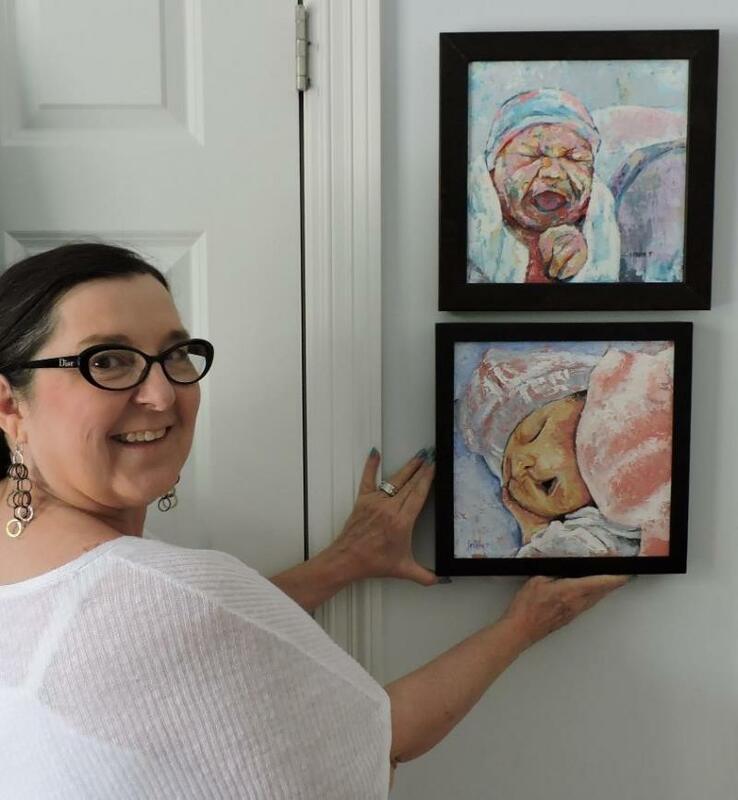 The two paintings are based on photographs of the two siblings taken within hours of their birth. Frank Thompson's work is available through the year for purchase in the southeast Alabama area at Shopaholic in Enterprise, AL. Frank is interested in exhibiting in additional galleries in which his work fits the tastes of gallery clients. Interested in a painting? Would you like to receive notices of new paintings and other news? Contact Frank Thompson direct by providing the information below.